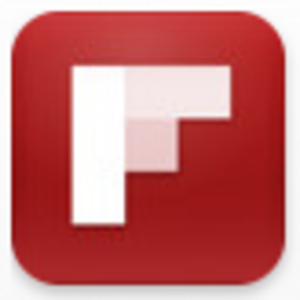 Flipboard, the social magazine iPad app, is on everyone’s mind right now. It just raised $50 million in funding on a $200 million evaluation, partnered with Oprah and is showing us what the future of media consumption can be while scaring the toenails off of publishers. Yet, what if Flipboard and other app makers could work directly with the publishers and create a new ecosystem? One that drives Apple and the others out of the middle-man equation and creates a prosperous new model for both content creators and aggregators alike? It looks like that is what Flipboard is trying to do. News publishers dragged their feet on creating the first round of Web content and subsequently watched their business models get left behind. When consumer tablets became a reality, publishers were seemingly ready to be the first ones on the boat but the explosion of the popularity of the iPad has not correlated in to revenue. Once again, publishers are scrambling to figure out how to convert new technology into real-world dollars. When Flipboard CEO Mike McCue says that he wants to create a billion-dollar company, publishers have to be afraid that he can actually do it, built on the backs of their content. As it stands now, the company sees itself as just another way to browse the Web. This all sounds good for the app makers and the publishers … in theory. However, it is important to Flipboard to not charge subscriptions for content. The idea with Flipboard Pages is to keep the information that is being curated free and uncluttered while adding full-page ads within the browsing experience. So, you are reading an article in the New York Times without ads, for instance, and you flip the page to what would be an ad page. Just like paper. If Flipboard is a “new way to browse the Web” then it also has the potential to solve one of the problems that publishers currently have with Apple, which is insisting on taking 30% of app purchases, including subscriptions. If publishers can just go straight to Flipboard or the other social magazines and work with them on an advertising ecosystem, curation apps can be free to consumers and still make money for all involved. Since the app makers have beat the publishers to the content-delivery punch once again, the publishers must start working with the app makers to create an ecosystem where everybody emerges a winner. Want to hear more on Flipboard and the future of news apps? Flipboard CEO Mike McCue will be at the ReadWriteWeb 2Way Summit taking place in New York City on June 13 and 14. Learn more.